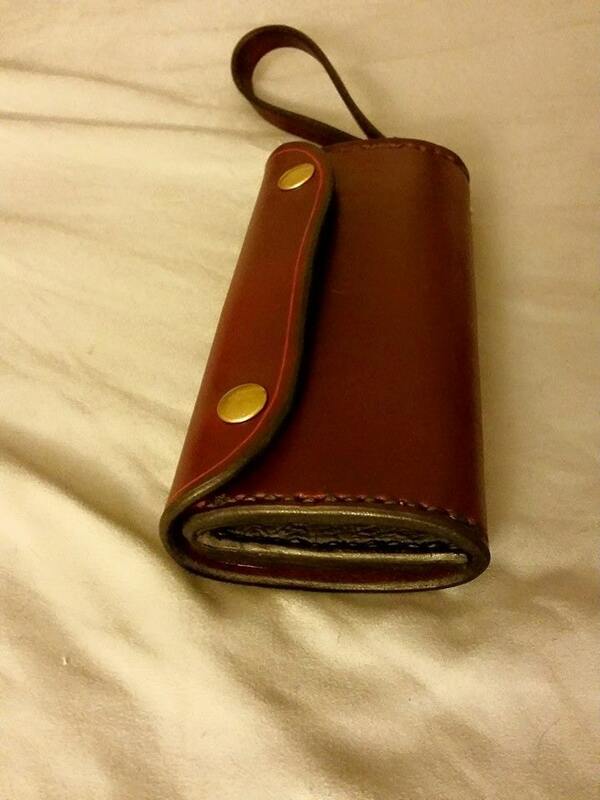 This listing is for a ladies fold-over clutch wallet. 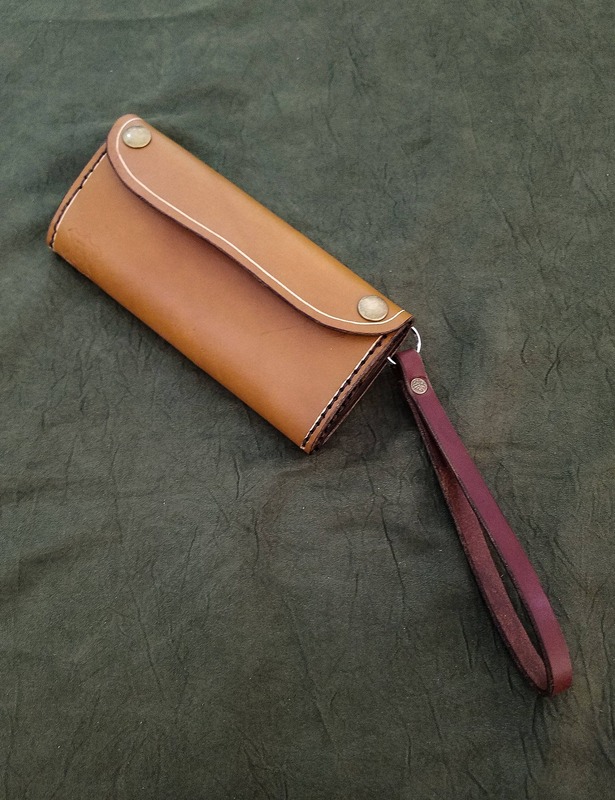 Each wallet includes a wrist strap for ease of carry. Apparently these are called wristlets by some. You can call this one a writstlet if you like. The wallet is made of 5 ounce latigo leather, with the gussets and card slots being made out of 2 ounce vegetable tanned leather. 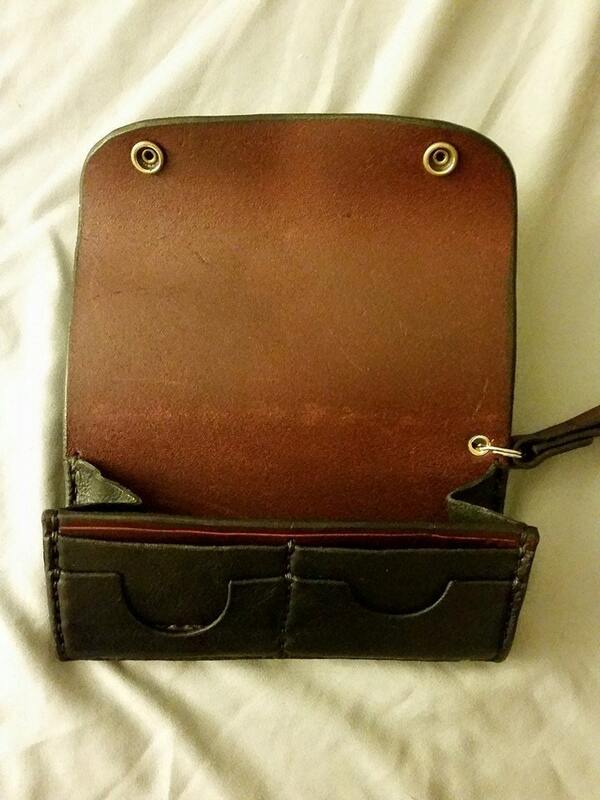 The wallet is hand-stitched together and is secured by two snaps. 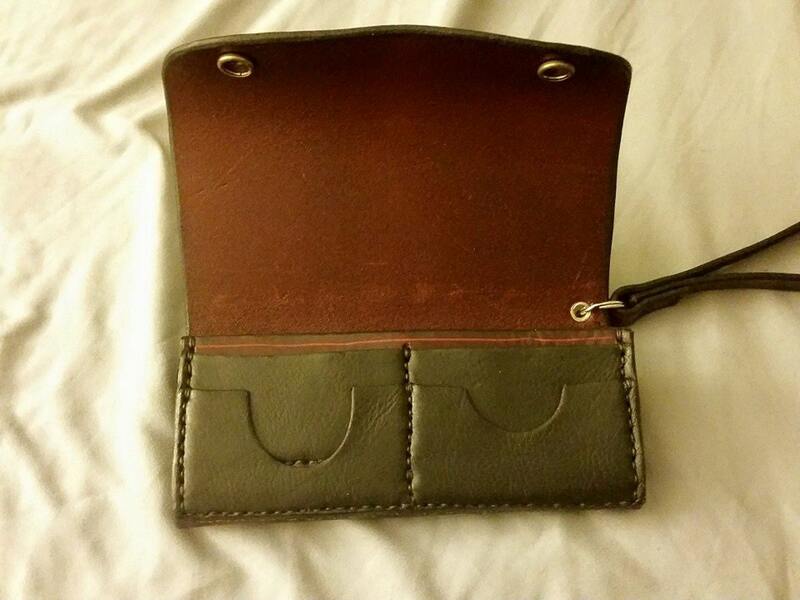 The wallet has slots for at least 4 cards, but more will fit after breaking in a bit. There is also a generous gusseted section that will hold cash, cards, napkins, or whatever you feel like keeping secure. 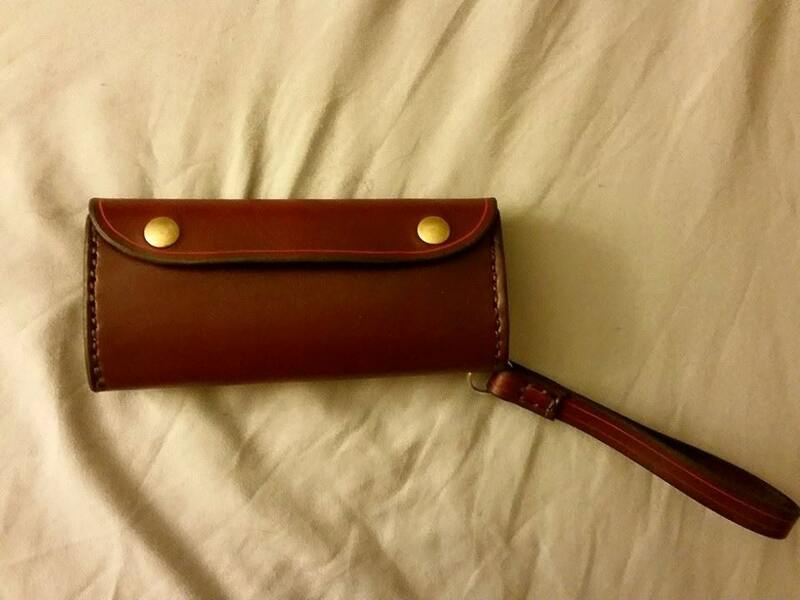 The name says ladies wallet, but women of ill repute could also carry one, as could a gentleman or boy. 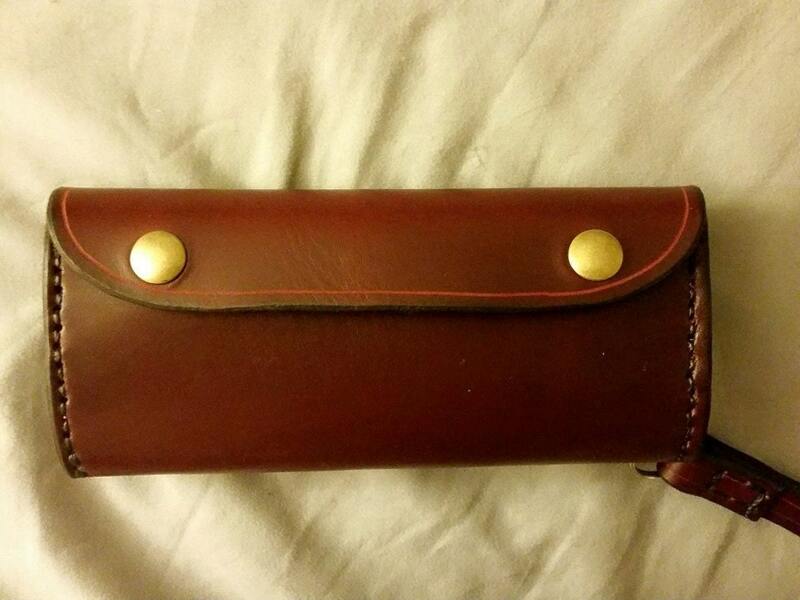 The wallet in the photos is burgundy with antiqued brass hardware. 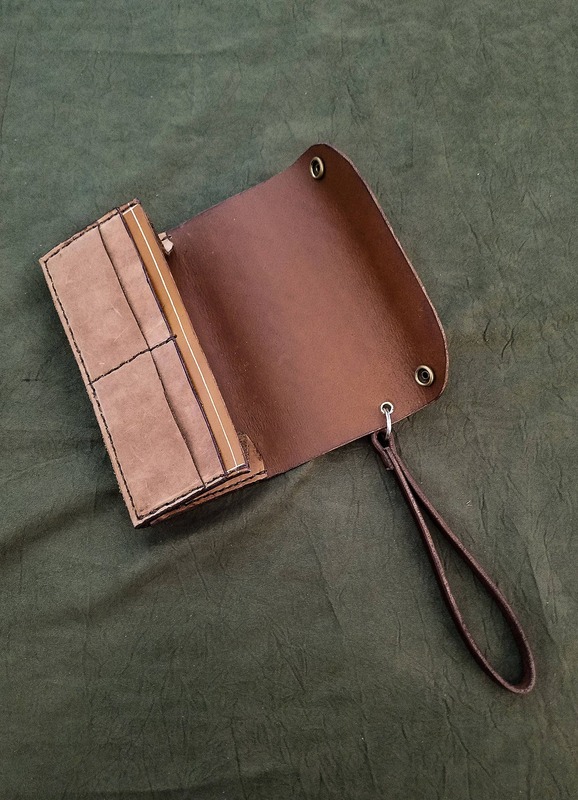 The gussets and card slots are black as a standard, but if you would like color-matched gussets and slots, or a different contrasting color, feel free to message me. For color options other than the ones listed, or for custom color options, please check out the add-on listing. As always customization if available (stamped initials, different card slots, etc), feel free to message me if you have any questions.